Free Shipping Included! 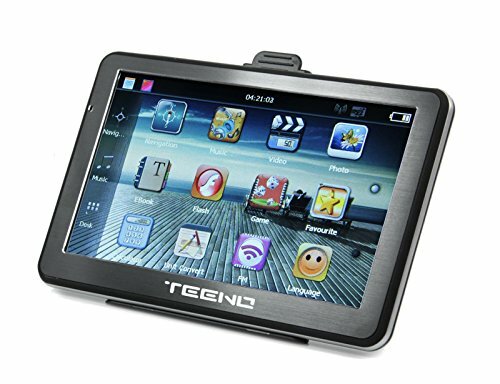 Teeno GPS Navigation for Car (5inch) Car GPS Navigator built-in Satellite Navigation System, Voice Notification, Lifetime Maps and Traffic, Driver Alerts by Teeno at iShare Maps. Hurry! Limited time offer. Offer valid only while supplies last. Support 7 kinds of models: cars, trucks, pedestrians, bicycles, ambulances, buses, taxis. You can choose according to your type of vehicle. GPS Navigation device installed polymer lithium battery,High quality,strong power and safe. Lifetime Map Updated FOR FREE,If you have any using problem, please contact us and we are willing to help you to solve it. Best Route Calculation the navigation system can calculate a best route Which Can Help You Arrive Safely. If you have any questions about this product by Teeno, contact us by completing and submitting the form below. If you are looking for a specif part number, please include it with your message.